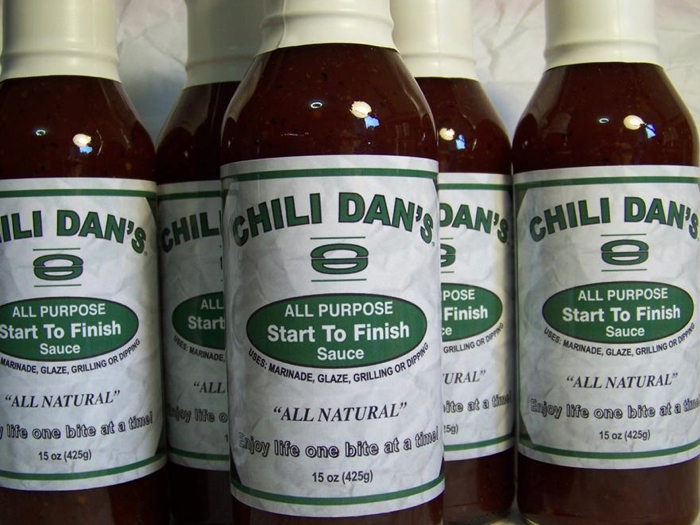 Chili Dan’s All Purpose Start to Finish sauce is not a “hot sauce” or a BBQ sauce. It is truly a versatile sauce that works on wings, makes a great dip for egg rolls or jalapeño poppers, and is a great glaze for pork. Think of it as a “liquid pepper jelly”.